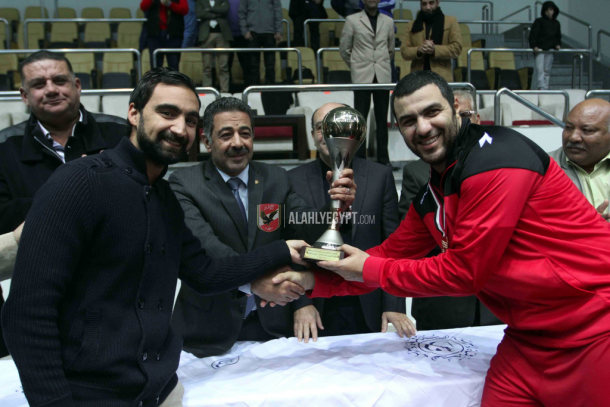 Al Ahly claimed the Egyptian Basketball Premier League title after beating Alexandria Sporting club 57-43 in the final match on Tuesday. This encounter comes after a draw in point between the two teams with 42 points. Both teams had to play a final match according to the tournament’s regulations. The recently crowned African champions began dominating the game from the second set, eliminating options for Sporting to lead the game. This strategy continued till Al Ahly sealed the match with 57 points. Club’s president Mahmoud Taher also expressed his happiness after the win and congratulated the team and staff. “These players are proving that they can start a new era full of achievements and championships,” Taher added.